She had previously had several miscarriages and had had D&Cs. She had no further plans to have a pregnancy. 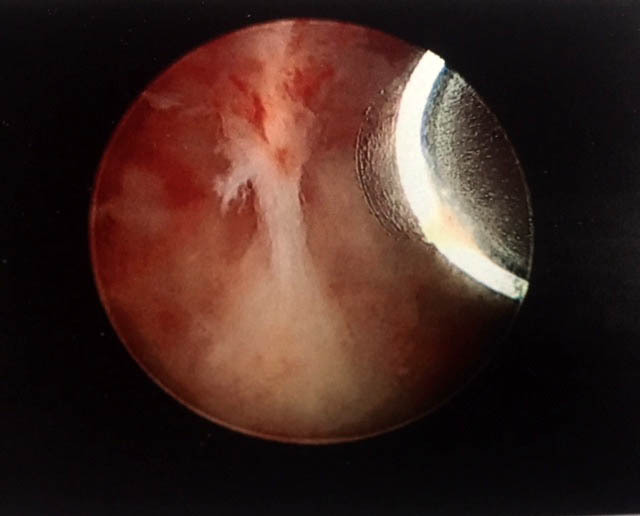 Hysteroscopy revealed a band at the top of the uterus. This presumably occurred following several D&Cs. This was divided. The band is divided - using Myosure device.